It’s off season for durians but you still have a craving. What do you do? Make a Japanese durian cheesecake! Frozen durian pulp is still available from durian sellers like 818, Katong Durian, Ah Seng and 717 durian trading and is still as pungent when they are thawed out. They work very well for this cheesecake recipe. 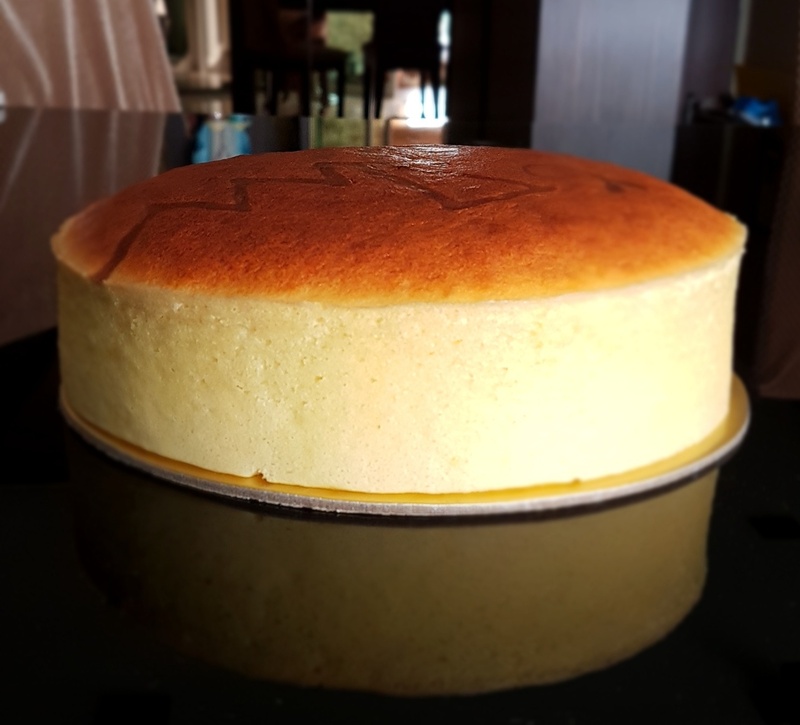 This is a recipe that I came up with that results in a very light, moist and fluffy cheesecake accentuated with the delicate (it’s still quite pungent) aroma of durian! It’s a good way to introduce durian to those who have never tried it before! 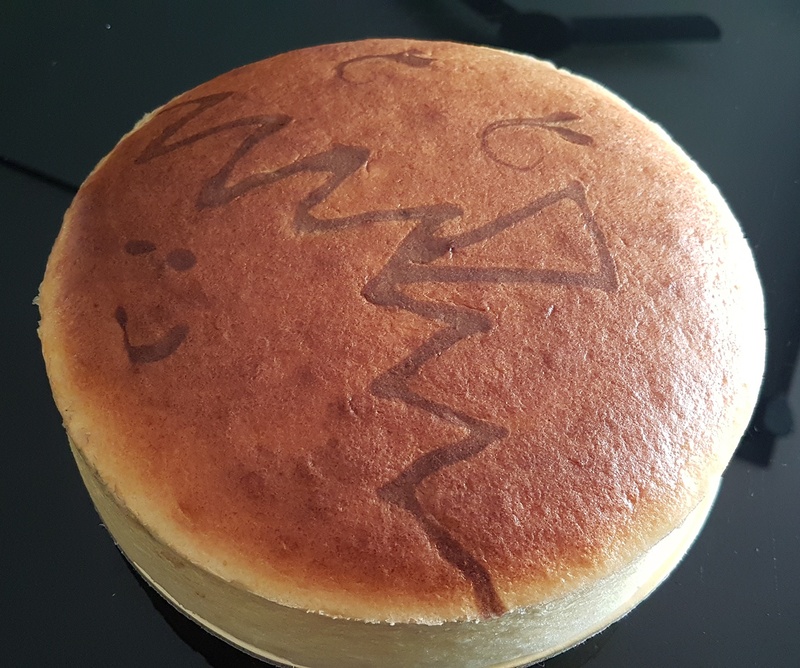 For a detailed description of the cheesecake recipe, please refer to my first post on Japanese Cheesecake Recipe. That article will give you all you need to know about baking this cake! The recipe below is based on that original recipe which is modified to accommodate the extra durian puree. 14. Place in warm water bath (40-50°C) and bake on the bottommost rack in a preheated 200°C oven (top and bottom heat, no fan force) for 18min, lower to 160 °C for 20 mins, then 140°C for 10mins and turn off the oven and leave cake in the closed oven for 10mins. Open the door of the oven slightly at the end of the baking for 10mins for the cake to cool. See my original Japanese Cheesecake recipe here. I am still not the biggest fan of durian, but one day maybe I will learn to love it. You just haven’t been properly stimulated yet. Thank u so much for sharing. Before I can get my hands on some durian, I adapted your recipe to make this vanilla coconut Pandan condensed milk version and loving it. My family is a big fan of durian and I will most definitely try your recipe. Thank you for sharing! I did tap the pan on the counter many times, and my mixture was light and foamy. I succeeded with the normal JCC so I’m a bit bummed that the durian flavour didn’t turn out well 🙁 I mixed the yellow batter like how I would your normal Japanese cotton cheesecake (creamcheese + butter on water bath, then I took it off the water bath and add yolks, durian + milk, and flour). I wonder if this change somehow affect the mixture? Yes, I added one more egg white because of the durian. How to make your own Chin Chow recipe!